Tshepo Edwin Mpiti also popularly by his stage name MASAPO is a well renowned comedian and musician from the mountain kingdom, Lesotho. Born in a small township of Thibella, Sea point in the capital city of Lesotho, Maseru on the 9th of November 1988. As a youngster he aspired to be a performer in the arts of comedy and music and that led him to join a local youth that belonged to the Lesotho Evangelical church where he participated in the choir and numerous comic sketches since 2007 to date helping the choir win the Annual Morija choral competitions four times in a row from 2013 to 2016. In 2008 Masapo joined Serumula Performing Arts Academy (SPAA) to further shape his artistic talents and has been part of numerous projects with SPAA which includes winning the National choir Festival held at Durban ICC hall in 2014 in South Africa and claiming the Number one spot to be the champions of the competition and Performing Moshoeshoe The musical at Lesotho sun convention centre in 2009 with the Lesotho French counter parts in celebration of 30years of the French presence and friendship with Lesotho. SPAA is the most successful arts academy in Lesotho which Mr Masapo is still very much a part of to date. In January of 2010 Masapo decided it was time to embark on journey a solo artist as a comedian and musician where he started an acappella music group consisting of 8 members called Acappella Moment which quickly catapulted him to stardom as a strong comedian and musician in Lesotho where him and his group performed at all kinds of gigs like, The Kings Birthday, Unicef fundraising gala dinner, launch of the Women’s Olympians gala, The real meaning of Christmas partnered by Ster kenikor Lesotho, art exhibitions, numerous television appearances, musical videos for Sponsors of the Movie The Forgotten Kingdom by Mr Andrew Mudge followed by the launch of an Acappella music debut album in 2014 called Moment in time to name but a few. All this was a fusion of his comic and musical talent at all performances. During this time as a musician, his Stand up comedy act started to take shape as he was quickly admired and inspired by those close to him to give it a shot and soon after he quickly earned a reputation as masapo the comedian. As he started touring around the country as a stand up comedian performing in local clubs like Purple haze owned by Papa Zee a hip hop artist stationed in South Africa, Maputswe district, Kaycees club in Roma, and finally getting a break by becoming a resident comedian at the up market 4fordy club in Maseru to date. He then launched a movement in Lesotho called the Kings of comedy in Lesotho with other Local comedians where they secured a 6 months contract with Victory restaurant at Pioneer Mall Maseru performing for 3hrs monthly alongside other comics. Masapo’s big moment came when he was invited to open for an international comedian act Joey Rasdien at the Lesotho Jazz Festival popularly known as LETOFE Launch in 2013. 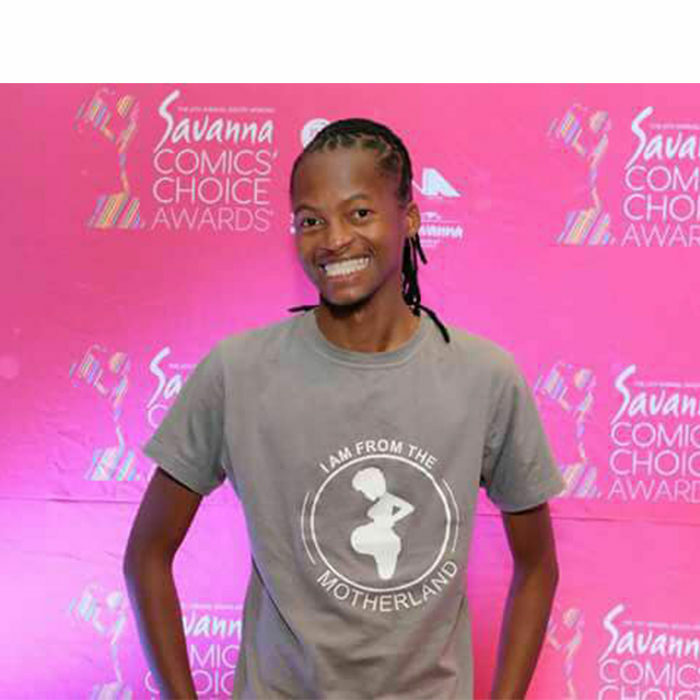 This marked him as the First Local comedian in Lesotho to headline an international act. Ever since then he has been performing all around the country and on local radio stations as well as being an Master of ceremony on numerous occasions including the art exhibition for Khosifines art which included Lesotho’s renowned Artist Nate Meshu. This has proved to be a never ending journey with a lot of hopes and funny performances for years to come.